Opinion: Don't Complain, Take Action to Rescue Bike Racing in the U.S.
Last week, writer Peter Hitzeman published a piece on Medium titled “The Rescue of American Bike Racing.” We thought the piece generated some good discussion about the state of bike racing in the U.S., and although the focus was on road racing, a number of the points likely apply to cyclocross as well. We reached out to Hitzeman to ask for his permission to share his writing with our readers. You can read the original on Medium and follow him on Medium and Facebook. “Road is dead.” So goes the morose refrain from local coffee shops to pro team board meetings all across the United States. People say it with the weighty resignation normally reserved for taxes, political defeats, or the extinction of the northern white rhinoceros. Regrettable, tragic, but what could we do? The helpless shrug is amplified by the cycling media up and down the line into a shrill cry of righteous indignation. “Look at all our poor pro riders,” they wail, “Scrambling to find rides and jobs after their title sponsors left!” The underlying narrative seems to be that the cycling world has failed to care for their heroes; abdicated their responsibility to provide them with the bikes and kits and team cars and salaries they need to go compete on the WorldTour. All of this, of course, is patently absurd at all levels. Road isn’t dead. There are still bicycles, and America isn’t short on asphalt, last I checked. Dozens of national and local studies have found huge increases in cycling activity of all types. But as long as we fail to face the nature of the reality we inhabit as cyclists, racers and fans, we’ll continue to witness the decline of American bicycle racing, particularly on pavement. Let’s start by acknowledging that the primary driver for anyone to be interested in bike racing is that they do it themselves. America has a tragic and catastrophic addiction to lethargy, which means we prefer to watch our sports on television, not participate in them ourselves. 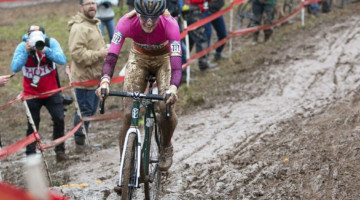 And with the exception of downhill mountain biking and possibly cyclocross, cycling makes for garbage television to the casual viewer. Compared to NASCAR, or the UFC or NFL, or a presidential election cycle, it’s slow, confusing, boring and possibly offensive to our concepts of masculinity. If people mostly don’t do it and aren’t excited by watching it, that means networks won’t show it, and advertisers won’t support it. Ours is a niche sport and is unlikely to be considered otherwise in the foreseeable future by the general population. Being a niche sport has consequences beyond the financial. Kids don’t grow up with heroes clad in lycra; their idols wear LeBrons or football pads. They won’t ask for a new bike for Christmas, but a new baseball bat instead (or more likely, a new iPhone). What percentage of American kids have ever even seen a bike with skinny tires and drop bars? We might as well expect them to be enthusiastic about sepak takraw (Google it; I’ll see you in an hour). 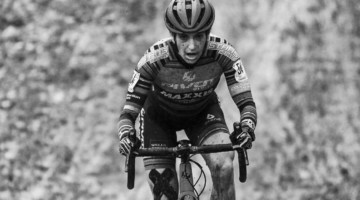 Here’s the part where the comment section explodes with “What abouts.” Yes, I know about Kate Courtney, Aaron Gwin, Katie Compton and the smattering of other bright spots of American presence on World-level podiums. But in terms of American interest, they are on the fringe of a fringe. 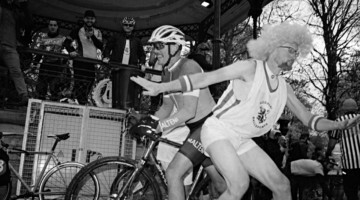 The approximately 17 minutes that America was interested in cycling occurred during the dominance of a certain mono-testicular Texan at a quite popular race in France. Since that star went supernova, no American has had a whiff of a podium in a race that anybody outside of our sport has heard of. For that matter, they’re barely even being invited anymore. Last year, only five U.S. men raced in the Tour de France. The year before, it was only three. Lawson Craddock’s gritty and inspiring last-place finish at the 2018 Tour notwithstanding, Americans aren’t exactly making the headlines at the top levels of road racing. There are a lot of excuses to make for this reality but none of them will make the truth less truthy. In order for the long shot of top-down growth and legitimization to work toward making our niche sport more popular, we need Americans shattering records and on the front page of mainstream news sites. That doesn’t happen without Armstrong-esque talent, charisma and results, and we just don’t have them right now. Bike racing, like most other sports, is becoming more expensive by the day. Equipment, nutrition, permits, police presence, logistics, insurance, media coverage, advertising and the rest all continue to rise in cost for riders, teams and organizers alike. There just aren’t enough dollars to go around. 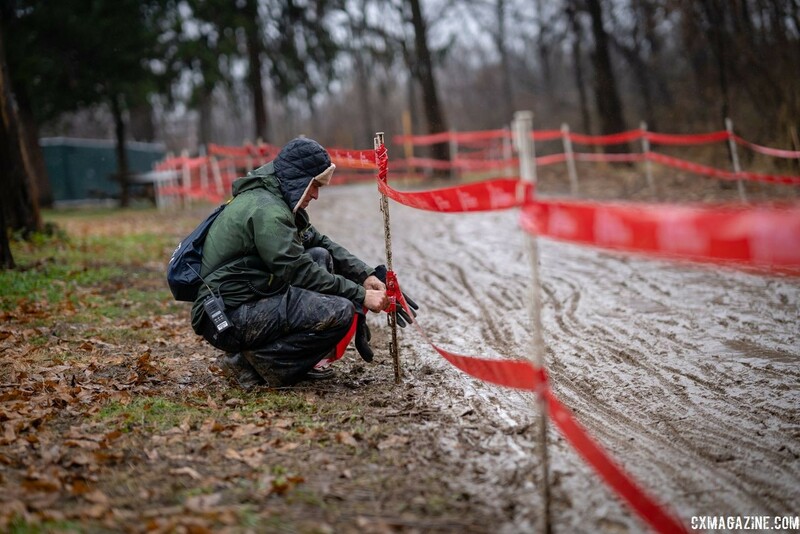 Most race directors I know make little to no money on their events and rely almost entirely on volunteer labor to pull it off, year after year. They work themselves to the bone until they just can’t take it anymore, then sell the race (or series) or scuttle it altogether. 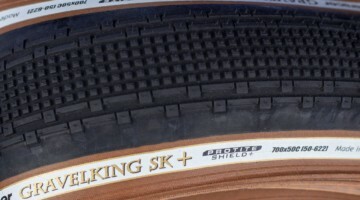 Riders and organizers alike beg, borrow or steal to get what they need. When they don’t, their events do without, quality suffers and attendance declines. 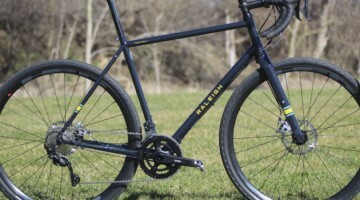 We have become particularly good at robbing Peter to pay Paul, relying on bike-industry sponsorships to subsidize bike racing, which just drives up equipment costs for everybody even further. In a sport that has a traditionally high financial barrier to entry and razor thin margins, many races and teams have been shuttered over dollar amounts that would be trivial in a more mainstream sport. The high school marching band down the road from me has a tractor-trailer and a tour bus. 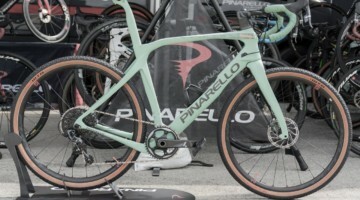 By contrast, some of the most elite riders in the country drive themselves and their ten-thousand-dollar bikes to their races in rented vans. I don’t mean the savage final sprint at your local 1/2/3 crit last summer. The recreational fitness landscape has never been more crowded. Marathon organizers are struggling with the same reality, as attendance at their events has declined precipitously over the past several years. The best events have adapted and innovated to stop the bleeding; others seem content to shrink or stagger toward the grave. Part of the reason for declining participation, of course, is that America keeps getting fatter. 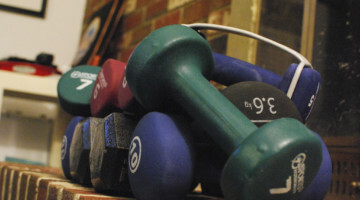 But there are also many more things for the few remaining fit people to do. There are obstacle course races and CrossFit and competitive kickball leagues and frisbee golf in every major city. On a given weekend, the prototypical weekend warrior might have a couple dozen different events to choose from, assuming they aren’t carting their kids to lacrosse, or taekwondo, or a Pokemon tournament (no really, that’s a thing). Even assuming somebody has a bike and some fitness and the desire to compete, cycling doesn’t traditionally provide a lot of value for the recreational dollar, and Americans love few things better than a bargain. For $35, Jane Athlete can sign up for a local charity 5k/10k, show up in $40 shoes and run her brains out against a mass of people that probably includes a few her own age and shape. Then she can hang out for her free beer, in her free t-shirt, with her finisher’s medal and watch her kids play in the bouncy house while she listens to the live band cover Don’t Stop Believin’. Desperation and failure have a particular odor that can be detected from miles away. That smell drives off interest faster than a teenager’s armpits. While addressing the challenges faced by our sport, it might be prudent to consider the image we’re creating for our sport. At the risk of being insensitive, stories about the personal crises of people who get paid to ride bicycles suddenly not getting paid to ride bicycles don’t exactly resonate with the general public or indeed, the vast majority of the cycling public. “Eleven-year professional bicycle rider becomes unemployed, goes on 10-day dream backpacking trip to find self” is not exactly a sympathetic narrative in an economy that seems to lurch from recession to recession. While I understand and appreciate the kind of hard work and sacrifice it takes to reach the pinnacle of any pursuit, especially one as time-consuming as cycling, it just isn’t enough. You also have to create value for race promoters, sponsors and yes, the fans. 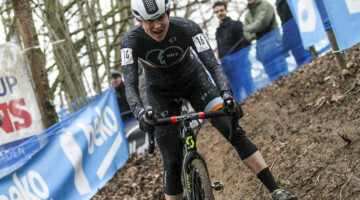 But there are also solutions, and they are easily found if we examine the types of bike racing and other recreational sports that aren’t dying or are even growing. Instead, we need to bring cycling to where people already are, live and in person. 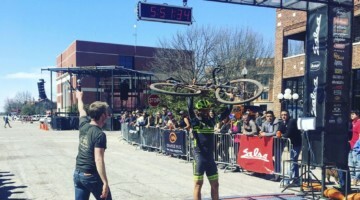 Done right, criteriums (like the Hyde Park Blast) [Ed note: The Epic Off-Road series Fat Tire Crits are a dirt-centric example] are a fantastic way to do this, as they can take place entirely in a downtown area, alongside a festival that anybody can enjoy, cyclist or otherwise. Better still, they can be partnered with an event that already exists, elevating both in the public eye. Crits are fast, dramatic, fairly easy to follow if there’s a good announcer, and you can witness them from inches away for free. 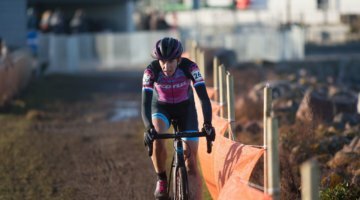 Cyclocross and short track mountain bike racing can also check those boxes, although the venues can sometimes present different challenges. Whatever the discipline, promoters and racers need to find ways to race in front of people, not in abandoned industrial parks and rural roads in the geographic center of nowhere. Yoga, another activity that involves people wearing questionable amounts of clothing in public, is gaining popularity and eyeballs by placing itself where people don’t expect it—breweries and downtown green spaces, etc. Increased interest means more kids who want to race bikes. When a child’s parents drag them to the German Festival downtown and there are a few dozen cyclists dressed like superheroes zipping by inches from his face, maybe they’ll think “that’s worth a try.” Rinse, repeat in every major city a few times a year, and in 10 years we have a growing class of talented youth riders, crucially from families that weren’t previously cyclists. 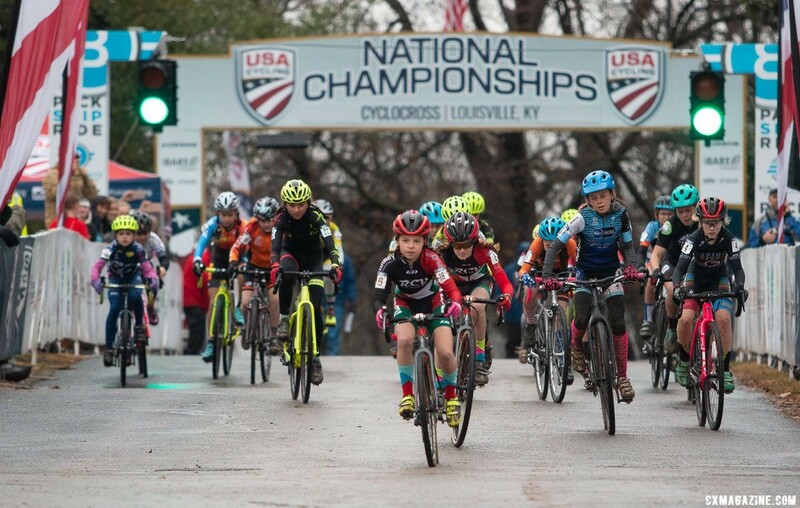 This will bolster the burgeoning youth leagues like NICA and youth development teams like the Ohio Valley’s Lionhearts Junior Racing. Efforts like the Specialized Foundation, instead of begging people to apply for their grants, will suddenly be flooded with applications. 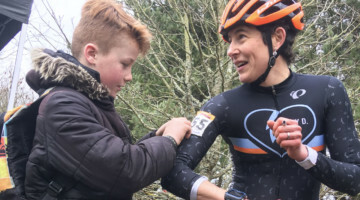 And crucially, a portion of that athletic talent and ambition (and parental backing) that has traditionally been funneled into ball and stick sports will find its way into bike racing, where we know it should have been all along. This broader and deeper pool of American cycling talent will combine with increased media and sponsor interest to enable not just more pro teams, but better ones. Instead of sending individual riders to the WorldTour, we could field entire squads. Sound crazy? Maybe it is. But much of the American public is bored with baseball, over NASCAR, and increasingly uncomfortable with the consequences of football, so the field is ripe for the harvest. The days where you could announce a bike race and expect the MAMILs to turn out in force are over. Frankly, the game has moved on. People don’t want to just go to a race, they want to go to an event, and they want to bring their family. 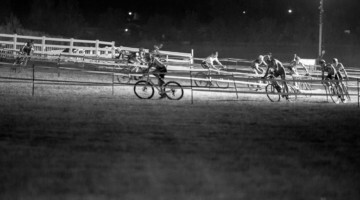 The bike races that thrive today are doing so because they’ve set themselves apart. 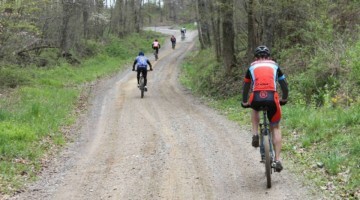 Gravel racing and ultra-endurance MTB continue to do well, as do racing festivals like Tulsa Tough. Why? Because they’re so much more than just a race. It makes sense. Training for six months, slaving away on the bike, watching what you eat, sacrificing time with friends and family, should all end with something more than an hour of pain and a 14th-place finish documented on a fluttering piece of inkjet paper stapled to a light pole. The purists might not need anything else, but frankly, there aren’t enough of them to make the sport viable in today’s landscape. If we want bike racing to be a thing, we have to think a lot bigger than just bike races. Bigger venues, bigger sponsors, bigger attractions. Yes, that means bigger expenses, but the higher the profile of the event, the more likely we can recruit sponsorship from outside the industry, particularly from the ultra-competitive healthcare and financial sectors. If you’re the marketing director for a regional bank, you won’t give the time of day to a race where a hundred riders and zero spectators show up. But if there’s a band, a few food trucks and a couple thousand potential spectators already present because you picked a good venue and partnered with another local event, there are a lot more eyeballs that might pass over your logo, and the pen gets a lot closer to the checkbook. That may mean stepping out of the comfortable templates of USAC-sanctioned events. Maybe it means a mash-up of existing disciplines, like having a short time trial to set the starting grid for a crit-format race that uses a Le Mans-style start. Who knows? A little chaos might be fun. One thing is guaranteed, though: offering the same old races in the same old formats at the same old venues isn’t likely to draw in new interest or even maintain existing interest. 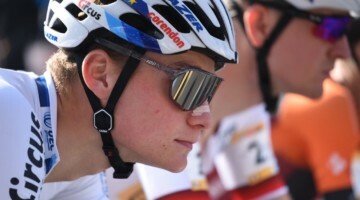 A fundamental part of bike racing is complaining about how expensive it is to race bikes. But then we fall over each other like mall-goers on Black Friday every time a manufacturer comes out with some new gadget or gizmo. For what? 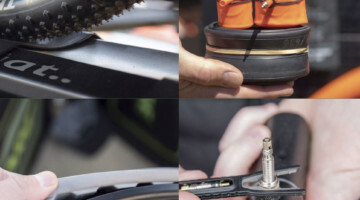 Don’t get me wrong, I love carbon bits and impossibly light frames and fancy tech as much as the next person, but if we’re honest with ourselves, we know that it’s completely insane to roll up to a $50 amateur race on a rig that you’ve poured $8,000 into, only to get your clock cleaned by someone on a sparkly purple bike they ordered off Amazon, painted with a rattle can and built on their own in their living room with parts they bought off eBay, because while you were huddled at your keyboard for hours reading power meter reviews on DC Rainmaker, they were outside, you know, actually riding their bike. Maybe the first step we should all take to make bike racing less expensive is to stop spending so much money on it. 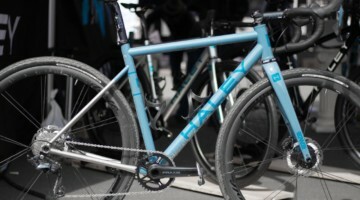 Go buy an aluminum frame with a Tiagra group and stock wheels and race it. I bet it’ll be a lot faster than you think. Spend all the money you saved on actual training, on eating better, or hell, donate it to the local Junior development team. Chances are good you aren’t going to the Olympics any time soon, but one of them might. Which brings me to my next, and possibly most important solution. Even if we all pledge to be more frugal with our bike racing choices, the sport itself will remain costly. All those expenses I mentioned in Reality #3 above aren’t likely to go away any time soon. But there are a few things we can do, and they revolve around thinking of bike racing as an ecosystem. If you think back to your freshman biology class, you’ll remember that an ecosystem only grows when there is surplus material and energy. That means that if we want cycling to grow as a sport, everybody involved has to put in more than we take out. There are obvious and easy small wins to be had here. Cash purses for non-pro races, for instance. Do you really need that $25 prime? Will you stop racing bikes altogether if you don’t have a chance at a hundred bucks for winning your Cat 3 race? Probably not. Nobody’s feeding their kids with winnings from the local race circuit. But the autopsies of dozens of dead races and series consistently reveal that cash purses were a serious drain on their financial viability. The obvious answer is for race directors to only offer cash to pro fields, and for everybody else to stop expecting to get paid as an amateur, no matter how good you look in your team kit. The bigger, gnarlier problem is that we have to stop relying on race directors and promoters to do everything. Everybody has skin in the game here if they want racing to continue. We all must begin to contribute something beyond our mere entry fees and presence at the starting line. 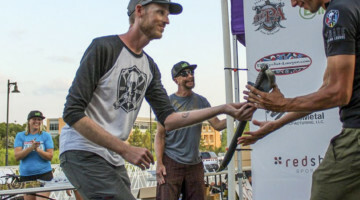 From the seasoned pros right down to the Cat 5 Elites, everyone needs to do everything we can to generate interest and recruit riders, volunteers and sponsors for the events we love. To put it bluntly, if you are the cyclist who shows up, forks over your cash, races and goes home, week after week and season after season, you are part of the problem. This means you too pro rider who is now or has recently been scrambling for a job. In this day and age, you’ve probably got the social media reach to make a huge difference. 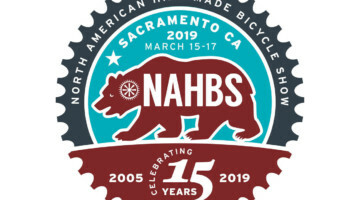 You have the opportunity to both develop your personal brand (and thus value to sponsors) and lend a hand to bike racing in the United States by (a) going to races that might not lead you directly to the Champs-Élysées and (b) talking about them. You’ve worked hard, risen through the ranks, and now you’ve got a spotlight. Use it. The opportunity here is enormous. CrossFit has exploded for the last decade because CrossFitters won’t shut up about it. They bring their friends, they volunteer, they drag their families along. Hell, they even pay extra for the privilege of judging each other in The Open every year. It’s easy to grouse about how an enterprise as profitable as CrossFit Inc relies so heavily on volunteer labor, but you can’t deny the fact that they created an immensely popular and successful international sport from literally nothing, powered entirely by enthusiasm, booty shorts and FitAid. If we apply that same model to cycling (powered by espresso and well-groomed facial hair, because we are classy like that), the sky’s the limit. If a half dozen highly motivated individuals have kept the racing scene alive in your local area for the last ten years (and that’s a very likely scenario), imagine what they could do if they suddenly had a few dozen racers each willing to spend a few hours of their year helping out? Lastly, for the love of Eddy Merckx, we have all got to stop moaning about how hard we’ve got it. We’re playing bikes. In the case of pros and media types, we’re doing it for a living, however meager. The more time and words we spend waxing funereal about bike racing, the more the general public will believe that to be our inevitable reality. The bike goes where your eyes go. 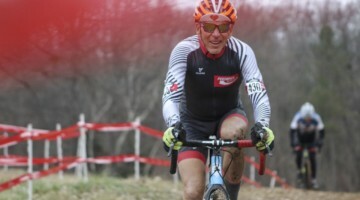 The more we look at and talk about the positive things, and the solutions, and the practices that are working, the faster we can resuscitate the American bicycle racing scene. Complaining won’t do it. Taking action will. Great post. One item in particular that drives me crazy is the obsession with equipment, which serves as a barrier to anyone that doesn’t have a large bank account. 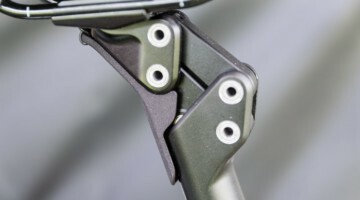 TT races would be relatively easy to put on and might have decent attendance if you ban aero equipment from them, so that Joe Schmoe with the $500 used bike isn’t immediately at a disadvantage. The short crowd pleasing events is another good idea. Our local mtb group has been terrific in this respect and, as a result, has well attended xc races while larger metropolitan areas struggle. gathering and uniting the local people that are interested in events is important as you point out, but also incredibly difficult. its been my own observation that we are our own worst enemy. we’d rather get a few miles in instead of putting effort together into a project. seen it first hand, guilty of it myself on occasion. I tried to stay focused on the article, but I don’t think I saw a single reference to NICA? Did I miss it? How did the author miss this? Why wasn’t NICA discussed in it’s own full freakin paragraph or more? Kids only racing! Growing rapidly with almost 20K racing this year, currently staying well away from USAC, hopefully forever. Engaging kids that statistics show would not be involved with any other school sport. Now offering middle school/junior high classes. There were a few decent points made, but most was rehashed ideas from the last 20 years of trying to recreate athletically in fat america. But there is NOTHING more grass roots that getting middle and high school kids on BIKES. Let them decide with their parents wallets and later with their own, what kind of racing they want to do as they grow. 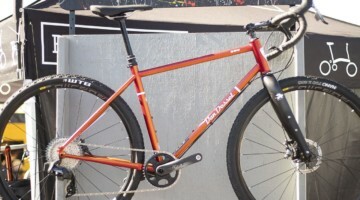 For now, a craigslist mtb or parents hand me down hardtail is the lowest way to access cycling. In the SoCal league one of the biggest teams year in and year out came from one of the lowest income cities, money does not have as much to do with it as energy. 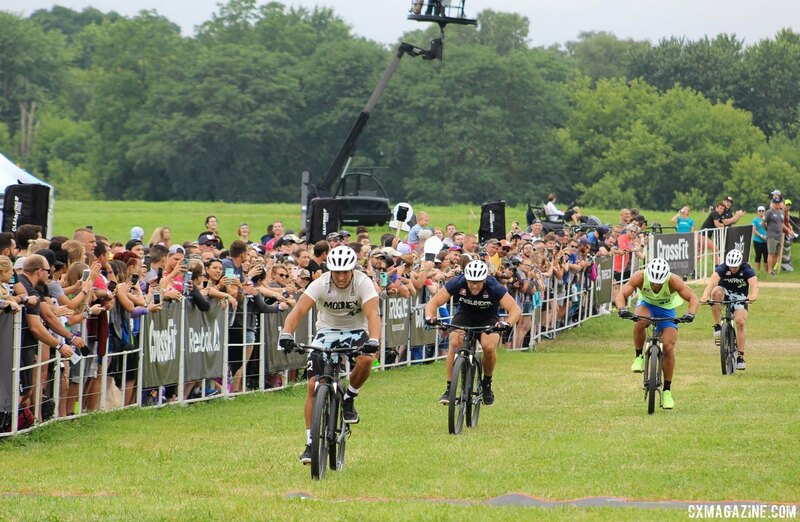 The coach/ parents/ team create energy and the kids found bikes and off to the races they went. I don’t know how, I don’t live there but I was involved with a SoCal league high school team for several years and saw a couple waves of racers come from a lower socioeconomic area and race well, so much for the financial barrier. If there is ever a gateway to more people riding and racing bikes in this country it’s kids on bikes. I can tell you this, many of the kids that raced thru the years I was personally involved with our high school team are not riding today. As good as their experiences were, they are not all going to be adult cyclists. But, they WERE exposed to bikes and hopefully the seeds will bare fruit in years to come. on the issue of road racing being boring for the average person to watch . . . it is primarily due to the absolutely horrible commentary provided on almost all tv coverage. I am a regular watcher of the TDF on tv – and any other coverage I can find – and the commentators, while knowledgeable and articulate, tell the viewer almost nothing about the race and how it works. I’m an avid racer/rider and even i can’t follow what they’re talking about. Commentators need to approach coverage as an introduction to the sport; how does it work, why do teams do one thing and not another . . . hell, they don’t even let you know how fast the riders are moving. To even the least interested viewer out there, to see a meter indicate a closing sprint is moving riders at better than 40mph would spin heads. Let’s have the commentary be an education rather than a mess of confusion! The Epic Series of off road events is not a good example. They’ve scored a checkbook full of cash which allows them to do just about anything. The USA Cycling fees are ridiculous to say the least. No need for them anymore that liability insurance is reasonable these days. See ya Feds!